Two key things that not to miss when comparing a iRobot Roomba 980 vs the Neato Botvac Connected. They roam the floor picking up dirt and debris, how much different could they be? Both Robot Vacuums are Compact, but the Important Differences Between the Roomba and the Neato are Huge. Big Point – The Roomba Robot Vacuum is an amazing at cleaning. It picks up dust, dirt and debris like no other, and much better than the Neato. It can actually sense when an area requires extra cleaning. It also cleans in a pattern much like the Neato (which is one of it’s main selling points), making sure not to miss any areas of the floor. So why would you buy the Neato instead of the Roomba 980? 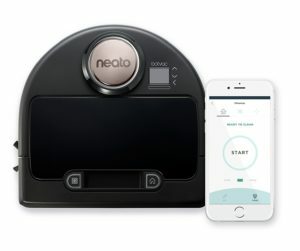 The Neato Botvac (see our review here), is in some cases (depending on packages) about $200 less expensive than the Roomba. That’s a big difference, especially if you’re cleaning needs are not the highest demanding. Which Vacuum is Best? Roomba or Neato? We personally have one of the Neato Botvacs, and love it. 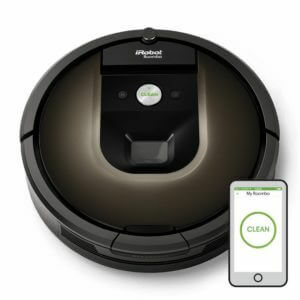 We recommend going with the Roomba 980 above all other models for is superior cleaning, area coverage (similar to the Neato Botvac), and the ability to sense when an area requires extra cleaning. The Best Robot Vacuum with over 1,000 Reviews on Amazon.